There once was a time when a celebrity outing was a pretty big deal and a possible career ender. Now, in a far more accepting world, it’s the homophobic celebrities that risk being ostracized when they come out as anti-gay. Once upon a time in Hollywood, not too long ago, coming out as homosexual meant appearing on the cover of People magazine or making an announcement on a widely viewed TV program. What would follow would be an extended deconstruction of the news in all forms of media, with comments from people of varying closeness to the outed person, stating a variety of different reactions or explaining that they knew all along. In other words, it was kind of a big deal. Now, however, coming out as gay gets you no more than a headline in a gossip column. Sometimes, it takes weeks to hear the news that a celebrity has announced his or her homosexuality. What follows the announcement is not an apalled or overblown reaction, but one of perhaps momentary surprise and then acceptance, even celebration. Take, for instance, the recent coming out of Matt Bomer, who thanked his partner during an acceptance speech. The only overriding negative reaction was from women everywhere who learned that they officially never stood a chance. Hollywood’s stance on being gay is, for the most part, so positive that it is starting not to register as a big deal in the slightest anymore. Coming out as gay no longer receives the backlash it once did, nor does it seriously jeopardize one’s career the way it used to. In fact, there has been such a shift in attitude that it is now those who come out as anti-gay who are subject to defamation and ostracization. Kirk Cameron, whose name you might remember from way back when he starred on the sitcom Growing Pains, is the most recent example of how opposing homosexuality is not how you make friends in Hollywood. After telling Piers Morgan that he believes homosexuality to be unnatural and gay marriage wrong, he has received a constant stream of all kinds of hate. Celebrities ranging from Modern Family‘s Jesse Tyler Ferguson to Roseanne have all made statements of vehement disgust for Kirk’s remarks. In one fell swoop, Kirk Cameron emerged from where-are-they-now obscurity, only to be instantly banished from the Hollywood empire and into the badlands with the other discriminatory has-beens, never to be seen again. At least Mel Gibson and Isaiah Washington will have someone to talk to. Tracy Morgan faced the same backlash after his inappropriate anti-gay remarks in a stand-up set not too long ago, suggesting being gay was something kids learned from the media, and criticizing President Barack Obama for being “down with” gays. The show has a sizeable gay-friendly fan base and staff and, needless to say, many people were not pleased. Luckily for Tracy, he had the safety net of 30 Rock and Tina Fey, who assured fans of the show that Tracy’s disturbing misdemeanour would be dealt with. Tracy very quickly issued an apology, but it took the vehicle of 30 Rock to emphasize how sorry he truly was. In a recent episode, Tracy Jordan — Tracy Morgan’s character on the show — makes a homophobic statement and has to learn that doing so is very wrong. By the end, he has learned his lesson, and all is restored. Call it a very special episode of 30 Rock. Coming out as anti-gay is something that celebrities might want to stop and rethink. Decrying homosexuality is a sure way to be pretty much universally hated in Hollywood, and beyond. 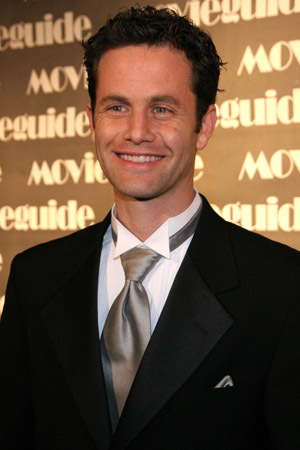 So any celebrities thinking of following Kirk Cameron’s example: Just stay in the closet where you belong.